180gm vinyl LP pressing. 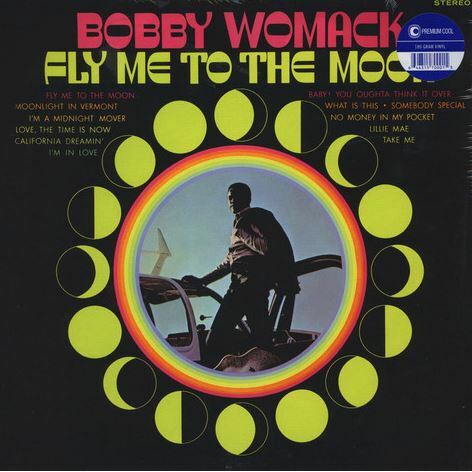 1968's Fly Me To The Moon was Womack's first solo long-player, after a decade of forging a singular path as R&B morphed into soul music, first with the Sam Cooke-sponsored Valentinos, and subsequently as a songwriter and guitarist for the likes of Wilson Pickett. 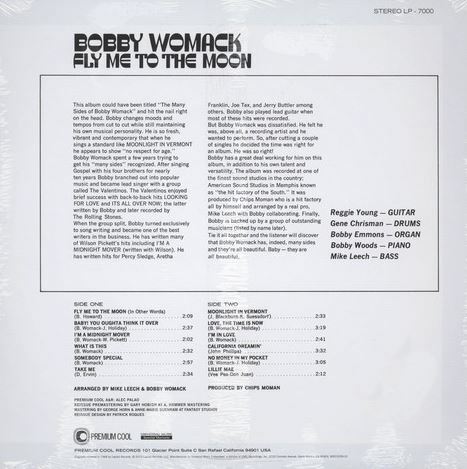 Indeed, the album features Womack's version of Pickett's 'Midnight Mover,' along with very groovy interpretations of 'California Dreamin' (a small hit at the time),' 'Moonlight In Vermont,' and the title cut. 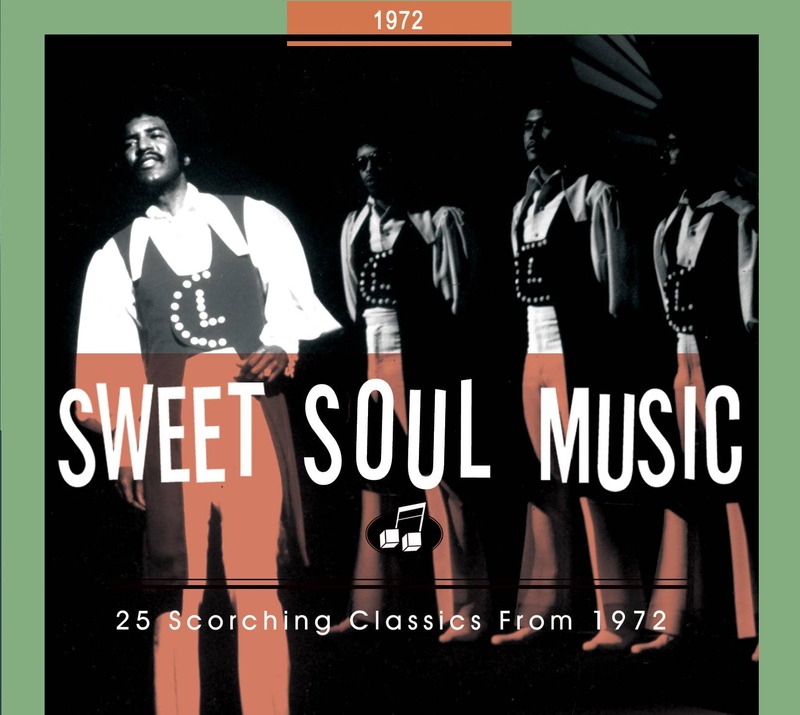 But it is the singers own superlative material - 'What Is This,' 'Somebody Special,' 'Take Me' - that shines best on this fantastic debut, produced by the estimable Chips Moman at his American Studios facility in Memphis, utilizing one of the finest session crews in southern soul. Kundenbewertungen für "Fly Me To The Moon (LP, 180 Vinyl)"